Fancy Tiger Crafts: Hot New Fabrics! Two fantastic new collections just came in and they are as different as can be, but we absolutely love them both! Jennifer Paganelli's aesthetic is Victorian floral meets vibrant color explosion. Her Crazy Love collection is amazing--bright orange, turquoise, mustard and plum bring fun and cheer to traditional florals and damasks. 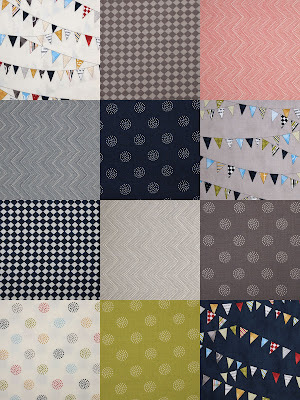 Whatever you make from these fabrics are sure to make you smile. We are thinking a trio of bright throw pillows to brighten a room or a fabulous spring skirt. Sweetwater's Reunion collection is a little bit nautical. 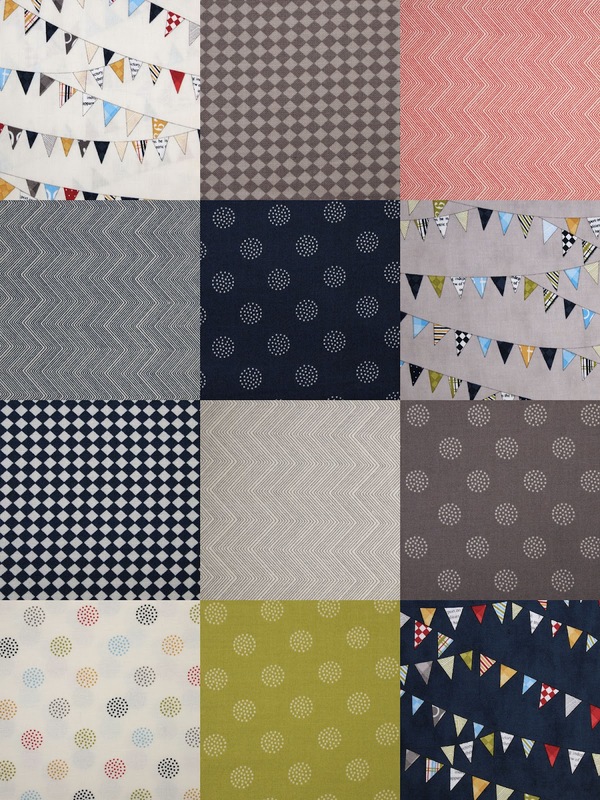 The navy and grey is a lovely neutral palette and who can resist those cute pennants? Reunion has lots of easy to use dots, zigzags and checkerboards. We are thinking buttondown shirts and quilt bindings!